While traveling in New York City for business, I took a couple of days off to explore the city. That meant a few open meals to plan in town and a dizzying array of options. After plenty of deliberation, I decided on The NoMad for a solo lunch. 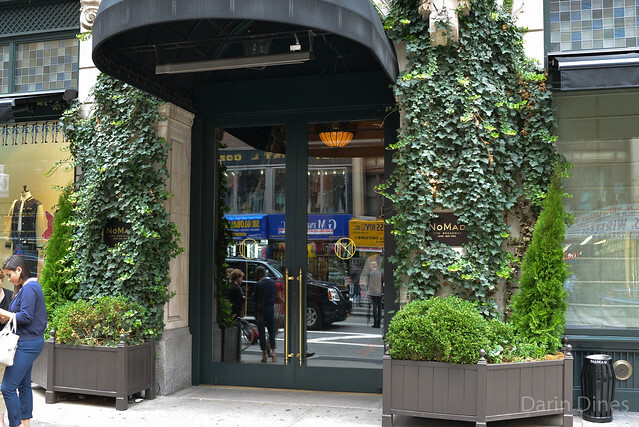 The NoMad, inside the hotel of the same name, is the second restaurant from the Eleven Madison Park team of Daniel Humm and Will Guidara. The food and vibe here is much more casual than its highly-acclaimed sibling, but The NoMad has plenty of accolades in its own right. It currently holds one Michelin star and is ranked #67 on Pellegrino’s world’s best restaurant’s list. For lunch, a $29 two-course prix-fixe is available with a few extra ‘snacks’ available ($9-15) and desserts a la carte ($12-15). I went with the prix-fixe adding a snack and something sweet at the end. 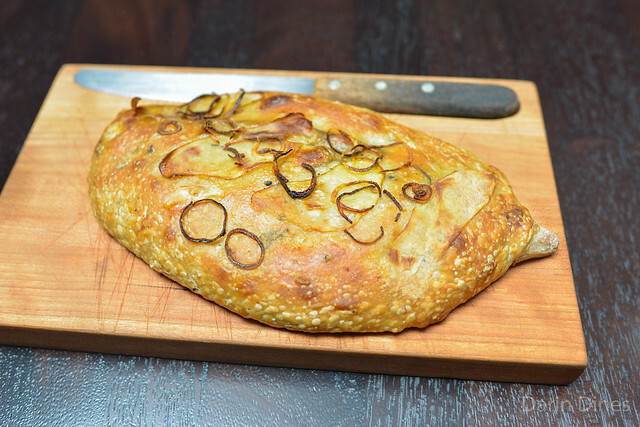 A hot loaf of potato-onion bread kicked off the meal. 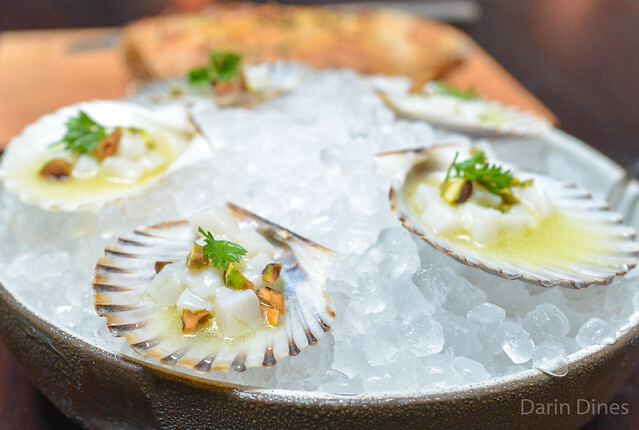 Bay scallops were presented beautifully in-shell with bright yuzu and some chopped pistachio. The scallops themselves were clean and sweet, swimming in a really nice balance of delicate flavors. 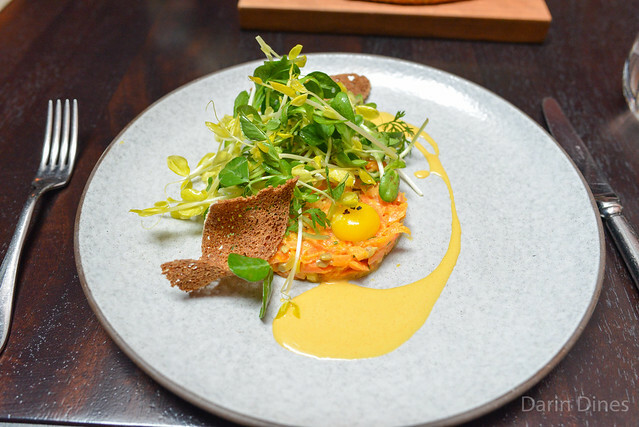 This dish really reminded me of the beet tartare I had at L’Arpege last year. Shaved carrots got the tartare treatment with plenty of acidity and coarse grain mustard. Rye crisps provided the crunch to each bite. While the restaurant is best known for a roasted chicken with black truffles and foie gras, it was a bit much for a lunch for one. 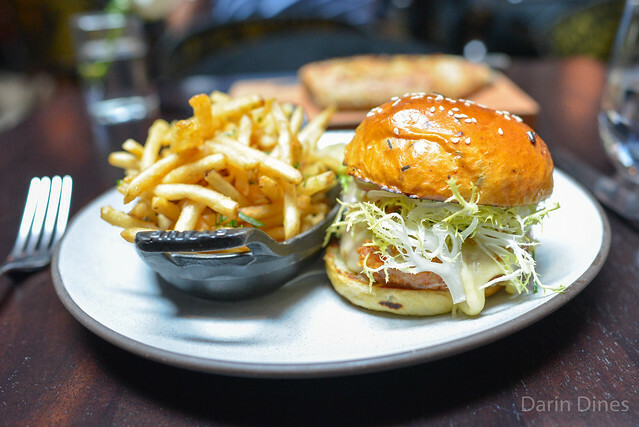 I went with this chicken burger featuring much of the same flavors centered around a patty made of white and dark meat, chicken skin and foie gras. It was excellent – the chicken was very moist and flavorful, topped with a warm toasted bun. The fries were excellent too. The restaurant’s signature dessert, I thought this dish was good but I didn’t understand what all the fuss was about. 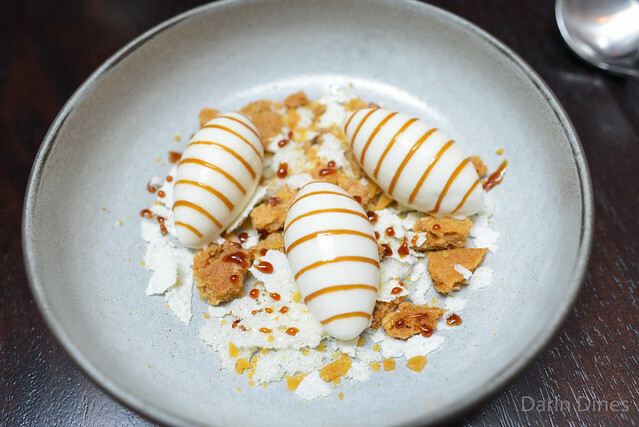 A milk ice cream had multiple layers of sweetness with varied textures from oak biscuit shortbread, honey brittle and dehydrated milk flakes. Reminded me of Momofuku’s cereal milk soft serve. 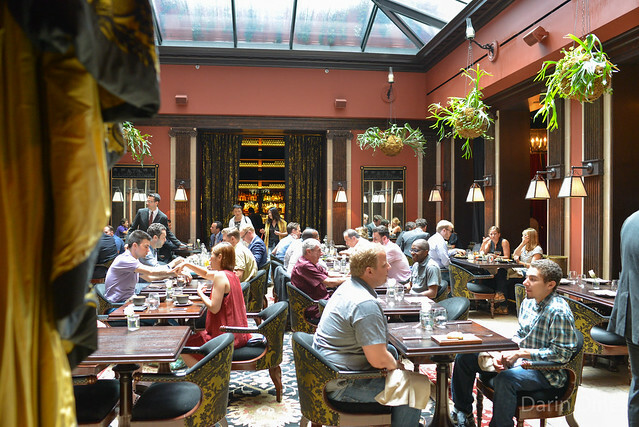 I enjoyed my lunch at The NoMad. The food was pretty delicious and the decor was beautiful – it made for a good lunch spot. Service was a little inconsistent; some plates were explained as they arrived but others plopped down without a word. It’s on my list to return!